Hi friends I hope you all enjoyed your weekend. I had dinner with family on Saturday to celebrate my brother in laws birthday, then spent most of Sunday watching TV and writing up blog posts. Digital Dozen is coming up next week so I had lots to do. I’ve been eager to show you all this mani, I just love how it turned out! If you remember last week I showed you the new Sally Hansen Miracle Gel Matte Top Coat and 6 shades, now I have some nail art to show you using all of those with the matte top coat. I have always loved the mix of glossy and matte in nail art and this was the perfect opportunity to show how well they can be used together. For this mani I started with 3 coats of Sally Hansen Miracle Gel Wine Stock, then added dots using the other 5 shades along the base and edge of the nail. 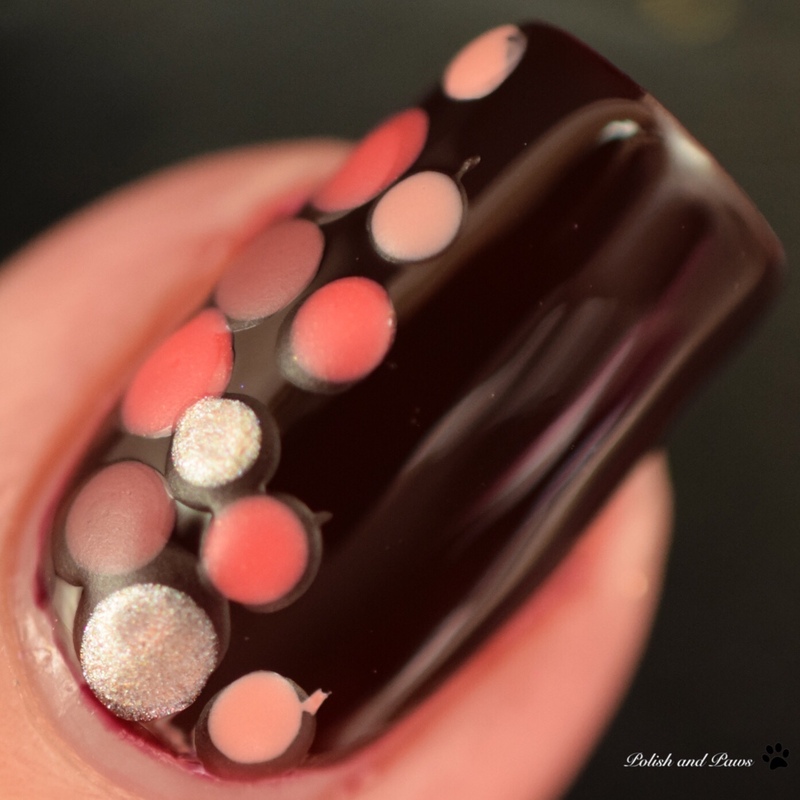 When I was happy with the look of the dots I sealed everything with my favorite glossy top coat. I then went back over just the dots using the matte top coat. It’s a very striking combination and I just love how it turned out. I hope you enjoyed this mani as much as I did. You can check out last weeks post here to see which Sally Hansen Miracle Gel polishes were used. 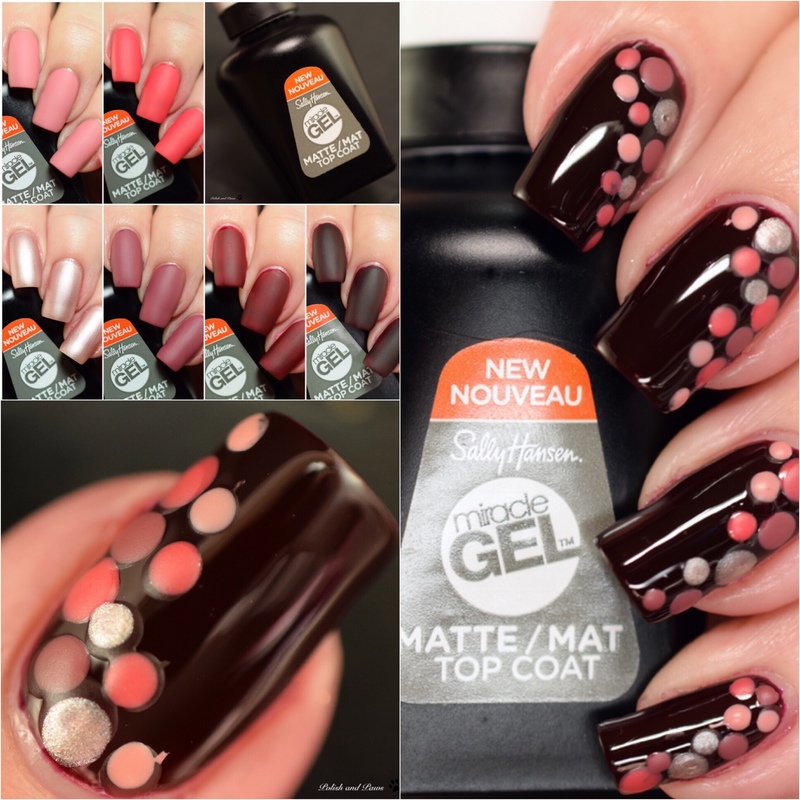 You can find Sally Hansen and the new Miracle Gel Matte Top Coat in most major drug stores nationwide, as well as Target and WalMart. Well I love dots and I like the side descending look! i love the dots ! so beautiful ! I love the matte dots! 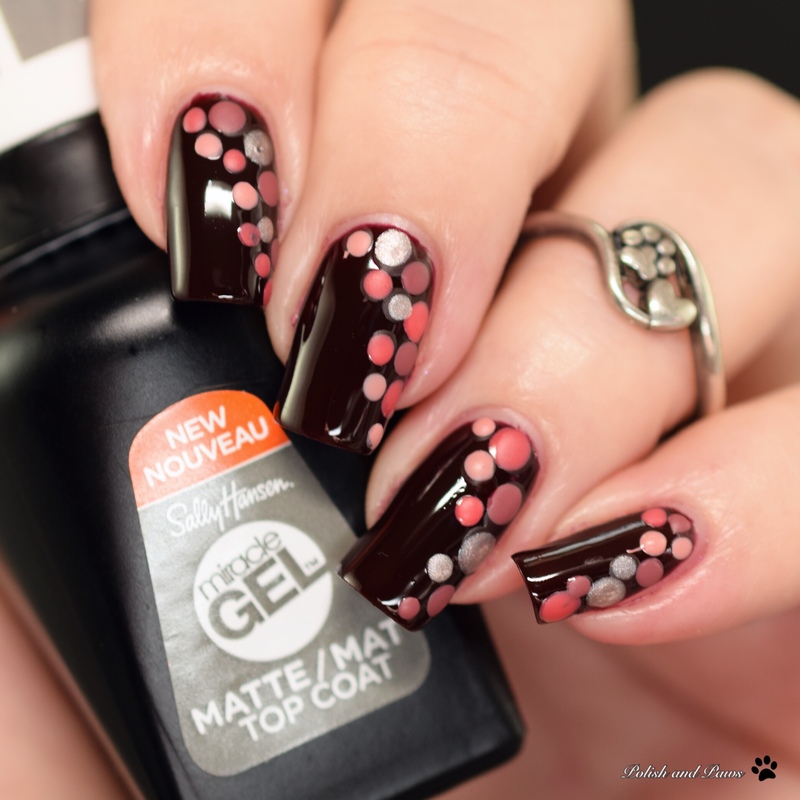 What a creative way to use this top coat! Love it. I didn’t realize that SH had a Miracle Gel matte. I love the Miracle Gel formula. Your combo of glossy and matte is so much fun. What a cute dotticure!! I need to try the matte formula. 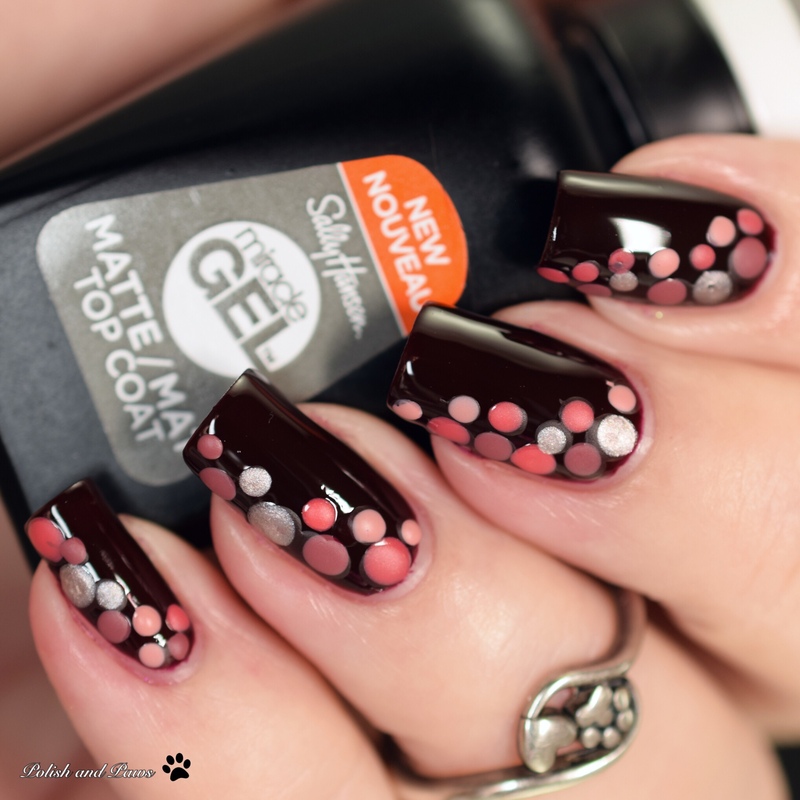 I was actually thinking of doing a dotticure with my matte top coat the other day! It’s just such a great look! Dotticures always look great not matter what colour palette! This is gorgeous!